Does the noise seem to come from outside the cabin, or from under the dash? 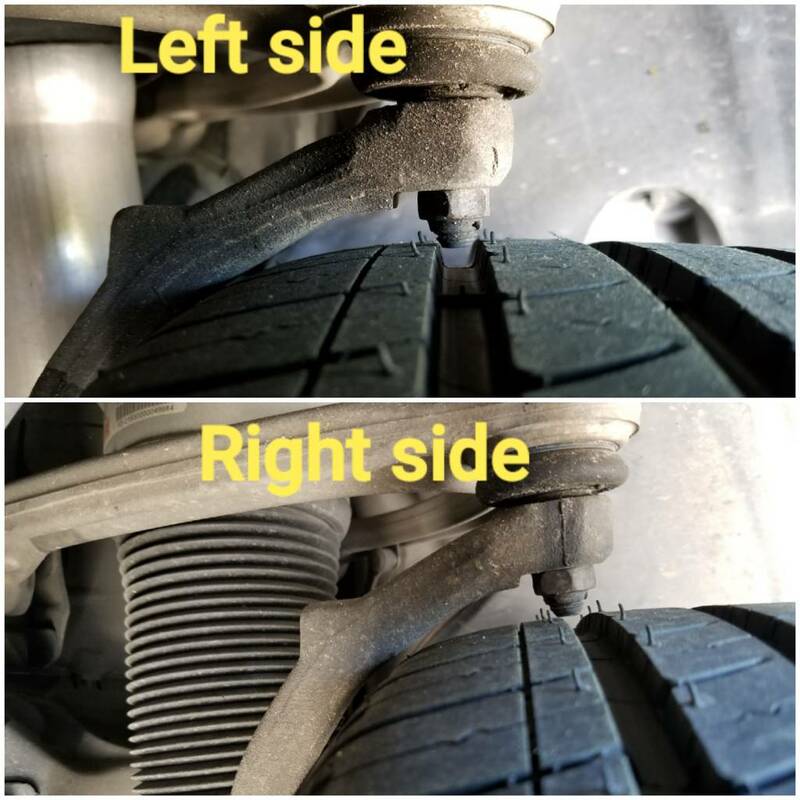 Sometimes sticky caliper pistons can cause the pad to lightly brush the rotor creating noise, or a tiny pebble or other bit of debris can get caught between the pad and the rotor causing noise. You say it only happens while in motion? If it also happens while the engine is running but the vehicle is stationary, check the brake booster area from both the engine compartment and under the dash. A section of tubing held to the ear can often help pinpoint the source of the sound. When I bought my car the front end had a bit of a "growling" sound. My first instinct was the bearings. Eventually it was figured out the front tires were the culprit. 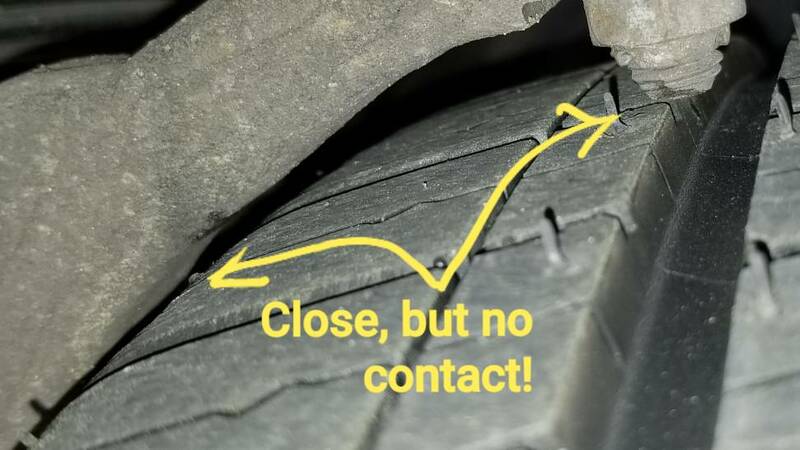 The tread shape and misaligned front end caused a growling sound and slightly rough feeling in the steering wheel, mostly noticable at very low speeds. After the alignment was corrected, the growl was less, but still present. A year later the growl is still there. The length of time passing is important as the tires have been driven on long enough to allow them to "wear into" the correct alignment. When I replaced the rear tires I went with a completely different tread pattern than stock... and the rear end became noticably quieter and smoother. My front tires are due to be replaced day after tomorrow with similar to what's on the rears. I'll chime in within the results. I'm expecting the growl to finally be gone. 1. Set the tire pressures to the correct levels. Make sure the front pair are equal to each other. Same for the rears. 2. On a concrete parking lot (needs to be clean and without gravel), drive slowly in a tight circle (steering wheel at full lock). Go around at least three times and vary the speed a little between each. Listen\feel what the suspension is doing. Repeat with the steering turned to lock in the opposite direction. 3. Repeat the circles, but going in reverse this time. 4. On the same parking lot, drive slowly in a straight line forward (vary your speed between passes). Again, listen and feel. 5. Repeat going in reverse. Listen with all the windows up and again with them down. Best to be in a very quiet location. May help to have a second person watching and listening while sitting in the back seat or standing outside the vehicle. I would check the front wheel bearings. Jack the front of the car up and see how much movement you have in the wheels. If you hold the tire at the 12 o clock and 4 o clock positions and move it in and out, you should not have much movement. Wheel bearings were my first assumption. Checked them and they're fine. No mvmt. Did the new tires upfront eliminate the noise?? I'm so glad you asked. I was having trouble finding this thread again to post an update. YES! New front tires made ALL the difference! No more noise or vibrations. I'm SO glad I didn't wait any longer to get these tires. Apparently the rubber getting hard and the shape of the tread pucks was the culprit. As in the rear, I selected a tire with a slightly taller sidewall than stock and literally have only a few millimeters of clearance in some places. The tires are about 0.8 inch (20 mm) taller overall. I hadn't planned on different tire models between front and rear, but to get the size just right, I had to. The steering does feel slightly less tight by going to a taller sidewall, but I've found it still corners just as well when pushing it. If you're wanting a smooth and quiet ride, these tires are great! After getting them installed I did the circle test in a parking lot as described earlier in this thread. With the wheel turned all the way to lock, the right tire sightly rubs the plastic liner in one direction. I'm going to see if I can get an extra few mm of clearance by adjusting the liner mounting fasteners. 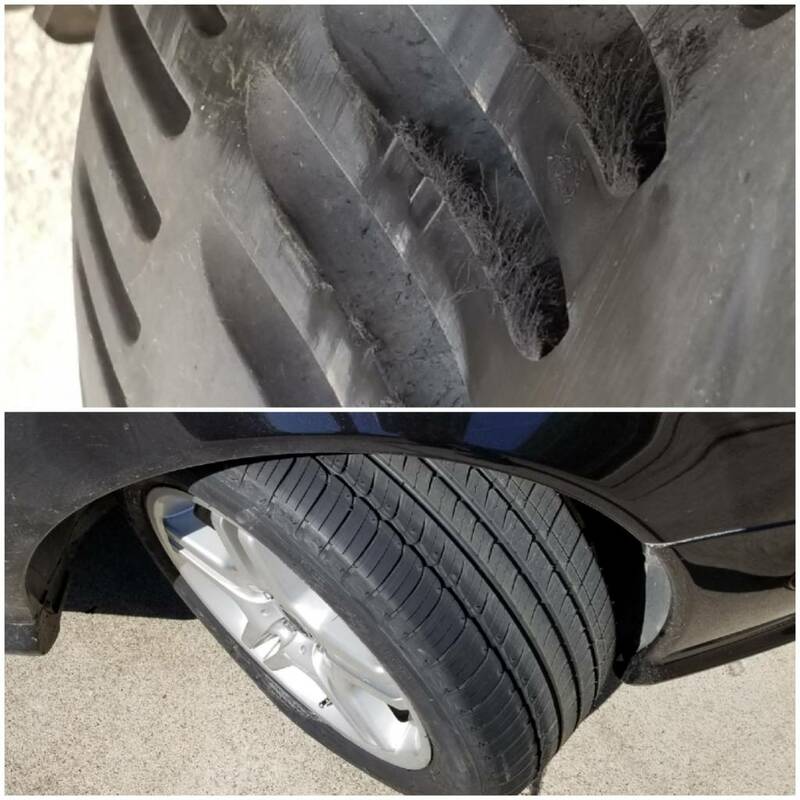 While these photos may look a little scary, I've driven the car on several 30+ minute freeway and back street commutes without any perceived tire rubbing. Raising the air suspension does provide more space between the fender liner, but not between the steering knuckle or upper ball joint.